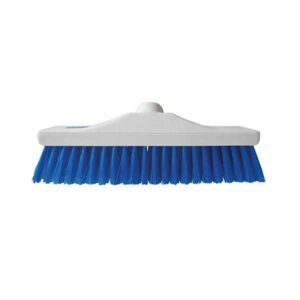 Ramon brushes are perfect for scrubbing or tidying floors prior to mopping. Available in four colours to enable colour coded programs and help prevent cross contamination. The Eco friendly brush block made from 100% recycled plastic. Non food safe, suitable for pubs, hotels, nursing homes etc. 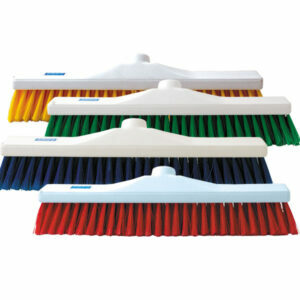 Colour coded brooms are designed to enable colour coded programs to assist in the prevention of cross contamination. 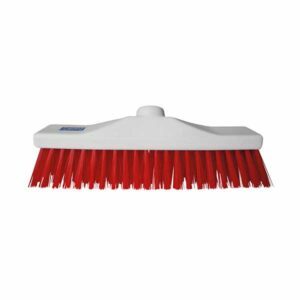 Eco friendly brush block made from 100% recycled plastic. Non food safe, suitable for pubs, restaurants, hotels, nursing homes etc.